Without a solid organization system, storage closets often end up serving as the drop point for all the stuff you can’t fit anywhere else in your home. Before you know it, that heap of cleaning rags and kitchen appliances has become so massive you can barely shut the closet door. 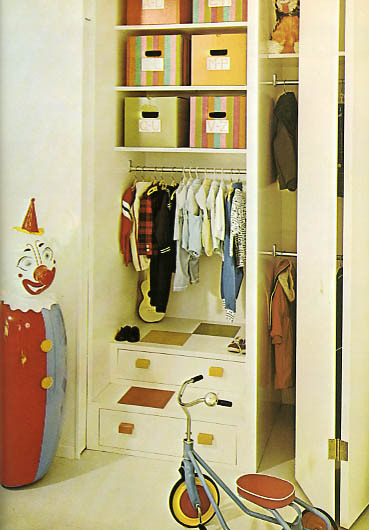 If the chaos in your storage closet has rendered it either nonfunctional or very distressing to use (see above scenario), don’t despair. You can turn it around with some thoughtful planning – plus a couple strategic wall hooks. 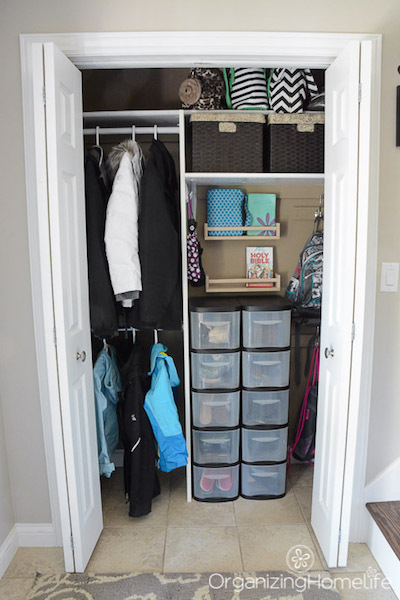 Read on for 13 tips about how to organize a smart storage closet that actually makes your life easier. A storage closet has limitless possibilities (no, really). You can use it to store coats, cleaning supplies, Christmas decorations, Halloween costumes, pet toys, or whatever else you want. To prevent things from getting out of hand, make a list of items you absolutely need to store that don’t already have a designated space in your home. Maybe it’s your vacuum and extra linens, or your snow gear (like skis and snowboards) and sports equipment. 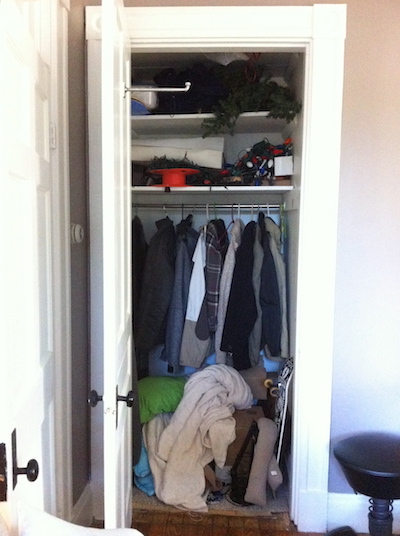 Take advantage of existing storage systems in your closet to serve as obvious dividers between your stuff. Then organize things by category or likeness. 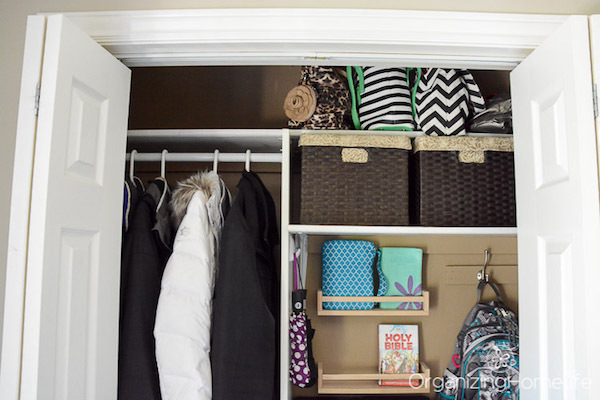 If your closet is empty, install a coat rack, tension rod, or pair of shelves to double your available space — we promise those two hours of DIY work will be so worth it. 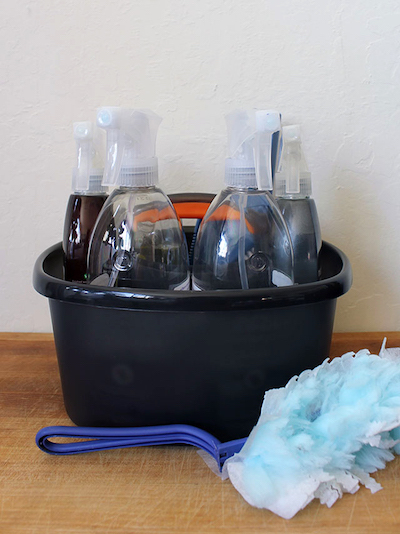 Corralling your cleaning products into a single bin with a handle accomplishes two things: 1) It keeps all your sprays and disinfectants in one place, and 2) it makes household cleaning easier because you can grab the bin and carry it anywhere. Take advantage of vertical wall space — no matter how narrow — to hang brooms, dustpans, and mops from sturdy hooks. This method keeps your cleaning tools neat and organized while also opening up your floor space. You can use the back of a door to hang just about anything. 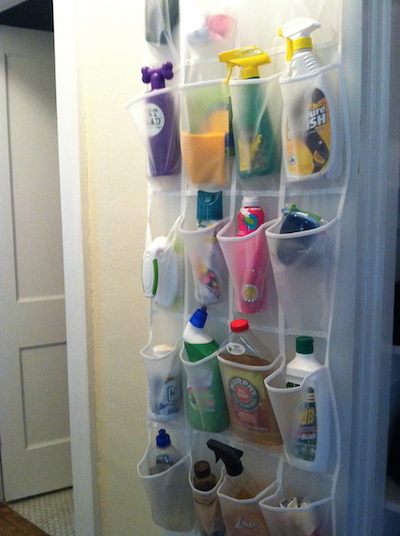 Take a cue from Organizing Made Fun and install wire baskets to hold cleaning products, extra cloths, and paper bags. 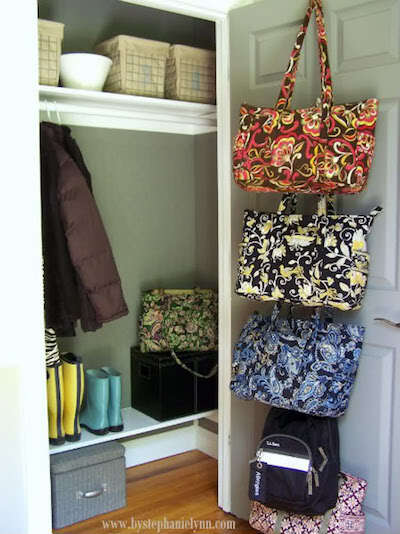 Or hang wall hooks to store purses, bags, or backpacks, like in the picture below. Better yet, use an over-the-door pocket organizer to store cleaning products, wrapping supplies, or cold-weather accessories like gloves, scarves, and hats. Don’t bring your entire wardrobe into your storage closet. If you plan on hanging clothes, limit your choices to items you reach for on your way out the door. 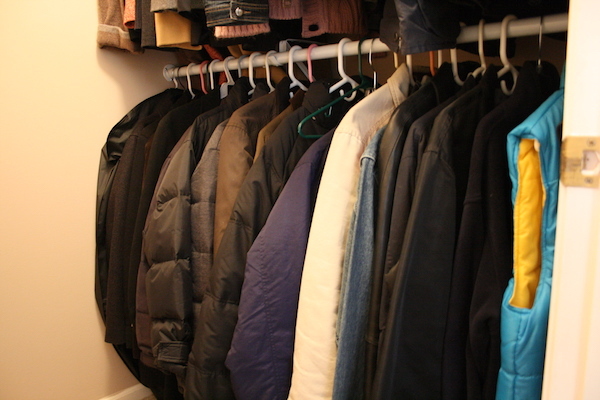 Think seasonal necessities like coats, jackets, and scarves. 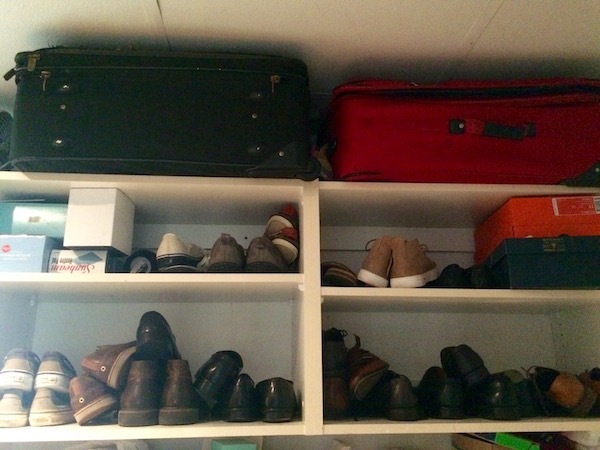 To keep your floor space clear and uncluttered, store suitcases horizontally on your highest shelves. Just make sure the suitcases are empty and your shelves are sturdy — you don’t want to get knocked in the head when you’re reaching for the vacuum. 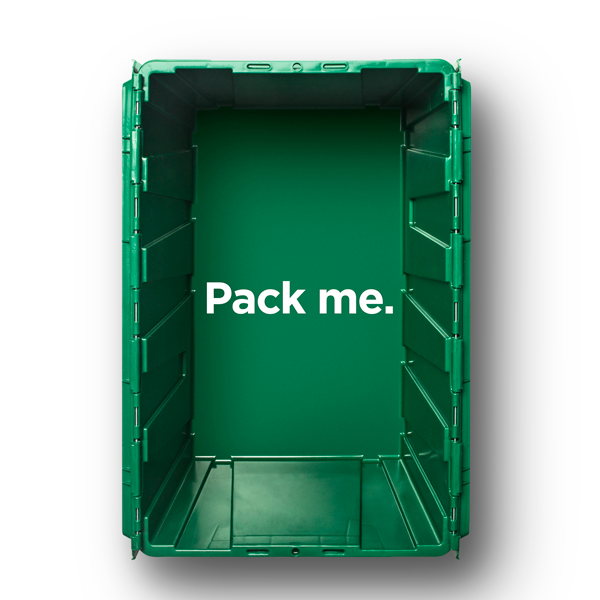 You can store everything from DVDs and paper files to table linens and extra Kleenex in matching boxes. Label each box with a detailed description of its contents so you never have to rummage through your stuff to find what you’re looking for. 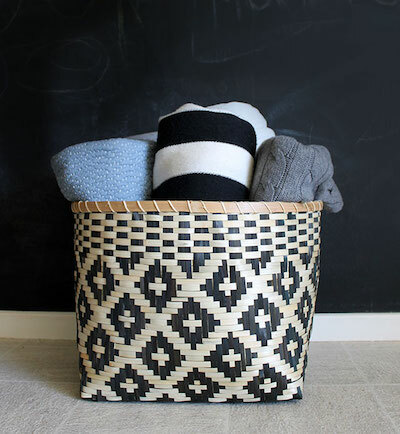 Tuck extra throw blankets into a chic basket you can transport to the living room when the weather starts to get chilly. The genius of a wall hook lies in its simultaneous simplicity and versatility. 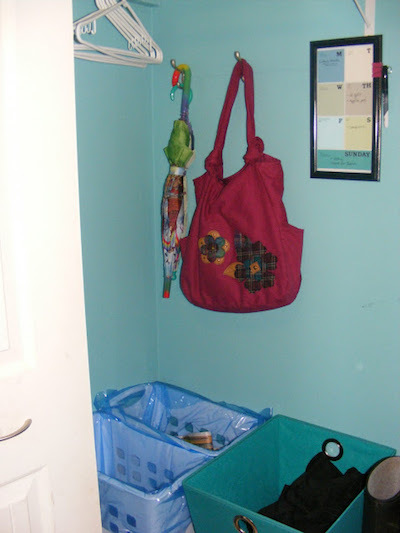 Mount it wherever there’s an extra foot of space in your closet, and suddenly you have a spot to hang your favorite purse, reusable grocery bag, briefcase, or umbrella. 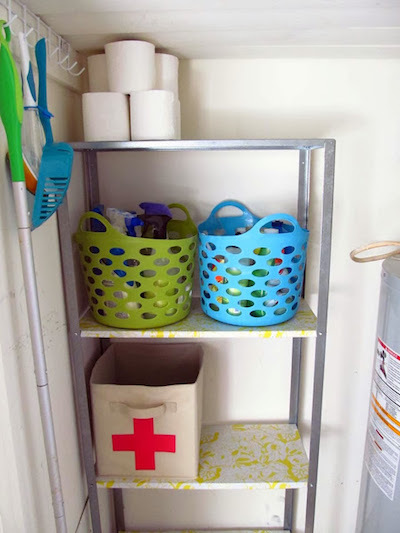 Plastic drawers are perfect for storing smaller items like cleaning rags, medicine, first aid kit supplies, tools, craft materials, or extra toiletries. 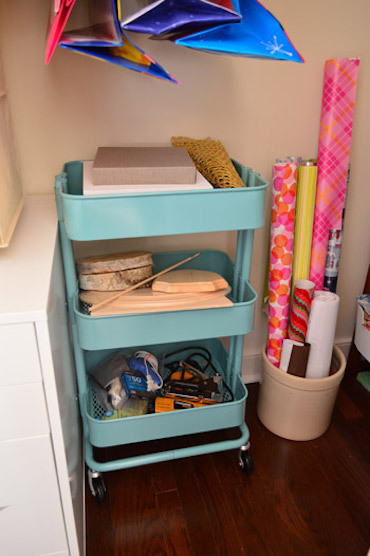 A utility cart is a smart way to store the stuff you need to access easily. Bonus points if it rolls. 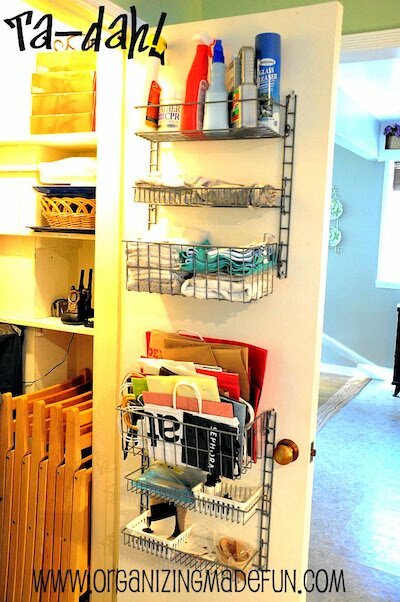 You can organize it according to a theme — cleaning materials, household tools, office supplies — or just fill each shelf with whatever fits neatly. For everything you can’t fit in your storage closet, use MakeSpace. And when you need your surfboard or set of golf clubs back, just browse the convenient online photo catalog of your stuff, click the item’s photo, and we’ll deliver it straight to you.